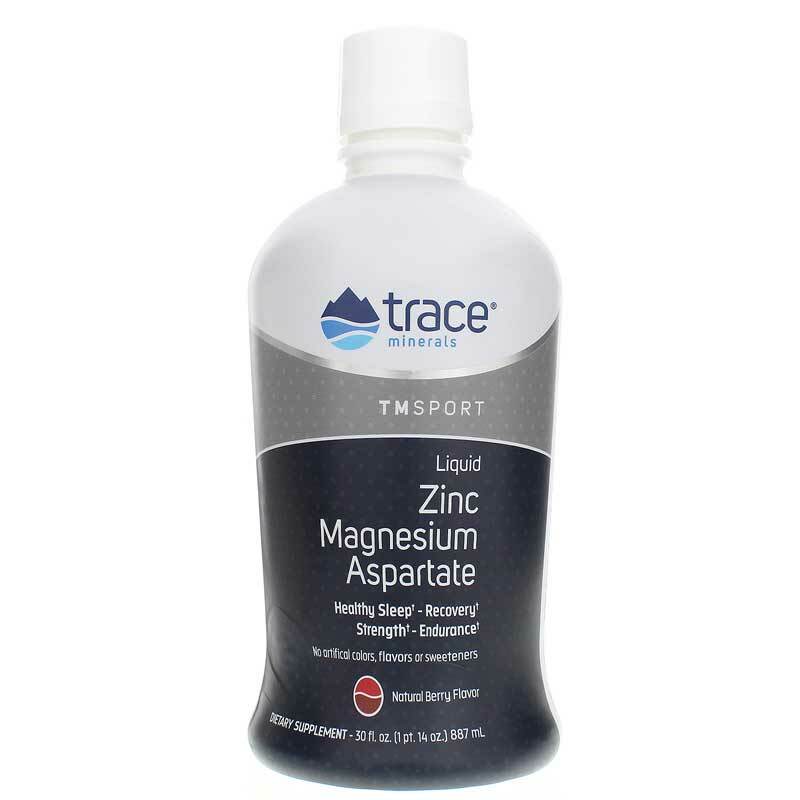 Liquid Zinc Magnesium Aspartate from Trace Minerals TMRFit Series Clean helps support healthy sleep, recovery, strength and endurance. Supports Healthy Sleep: Some of the most important recovery after intense exercise occurs during sleep. Magnesium's role in the body is to help relax the muscles, which is particularly important for deep sleep when muscle repair and recovery occurs. Supports Recovery: When the body has healthy levels of zinc and magnesium, it can properly rest, repair, and recover, which helps prevent prolonged exhaustion. 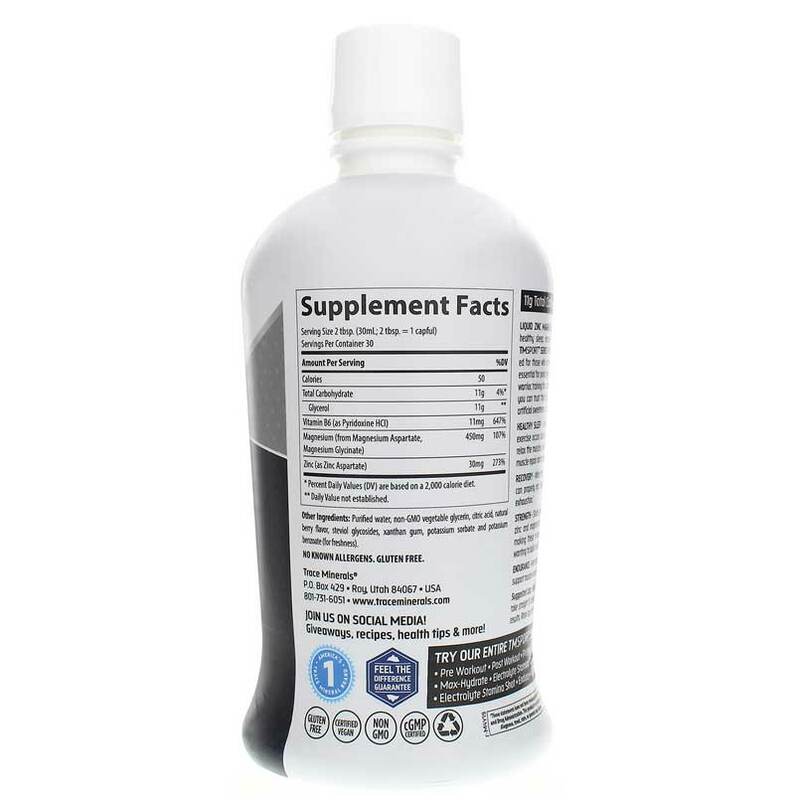 Supports Strength: Healthy levels of zinc and magnesium may support the body's ability to produce testosterone, making these minerals essential for greater gains, and for anyone wanting to build muscle or burn fat. Supports Endurance: Maintaining healthy zinc levels in the body supports muscle endurance and healthy testosterone levels. 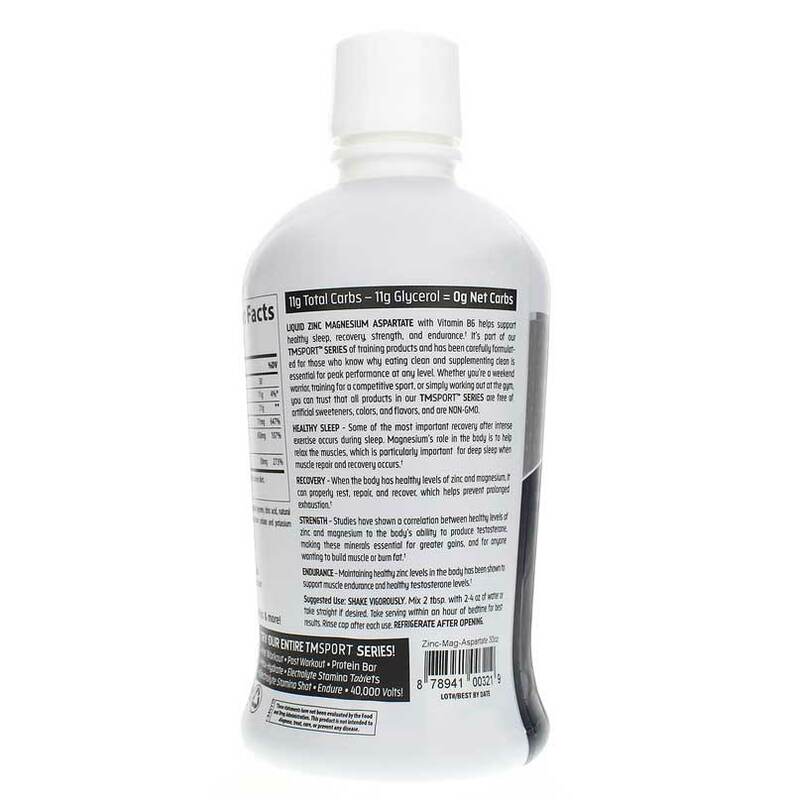 Other Ingredients: Purified water, non-GMO vegetable glycerin, citric acid, natural berry flavor, stevia leaf extract, xanthan gum, potassium sorbate, potassium benzoate. Adults: Shake vigorously. Mix 2 tbsp. with 2 to 4 oz. of water or take straight if desired. Take serving within an hour of bedtime. Rinse cap after each use. Refrigerate after opening.